Bless your dear mother’s heart for wanting to take care of her elderly mother in her golden days. All seems well until you start noticing signs of burnout: lack of frustration with your grandmother, lashing out of emotions, living in denial that she [your mom] needs help with caregiving, and lack of patience. You watch with concern as your mother slowly deteriorates from taking care of your grandmother 24 hours a day, yet when you offer to help, she refuses it because she feels guilty for stepping away for even a moment. She remembers her promise from long ago that she would take care of your grandmother when she needs her, and now she is fulfilling her filial duties, although it’s taking a toll on her mental, physical and emotional health. What do you do when your dedicated parents are at their wits’ end and refuse your help? You’ve done all you can, and you’re not sure what to do next. If you haven’t called A-1 Home Care, you haven’t done everything just yet! We can help you figure out ways around the situation so that you’ll be doing everyone a favor, including yourself. Our experienced care managers will hear you out, listen to your particular scenario and understand your situation before they prescribe the perfect solution to end your parents’ caregiver burnout. Nobody needs to feel guilty, and you’ll be glad you came to us for help. Your satisfaction is our #1 priority. A-1 Home Care not only guarantees 100% satisfaction, we also protect your elderly loved ones from predators, scam artists, theft and fraud. As one of the few licensed, bonded and insured agencies in California, A-1 Home Care recruits and screens the best caregiver talent that Southern California has to offer. You can enjoy a wide range of in-home care services, from live-out care to live-in care, hospital sitting, 24 hour personalized care in the comfort of your own home or at an assisted living facility. We are flexible with our scheduling; we understanding the changing nature of senior health, and we are here to offer you 24 hour support, whether that’s by phone or by providing excellent caregiving services. Find a quality in-home caregiver today! Call A-1 Home Care (562) 929-8400 or visit us at www.downeyinhomecare.com for services in Downey, Whittier, Pico Rivera, Cerritos and other surrounding cities. You have reason to suspect that your elderly loved one isn’t getting the adequate attention and support she needs at the nursing home where she stays. You work full-time and have your own family to take care of after work. Every time you visit, it seems like no one has changed your mom’s soiled linens in a while and when you ring the bell for service, it takes an awfully long time for a staff member to come and attend to your loved one. The nursing home staff resists your efforts probably for privacy or legal reasons. Instead of installing hidden cameras, why not move your elderly loved one home with you? 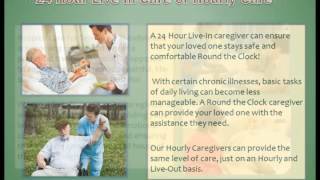 You can monitor your loved one 24 hours a day with the help of a live-in caregiver from A-1 Home Care in Downey. 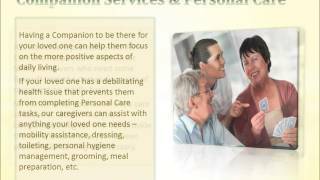 Behavioral management for seniors with Alzheimer’s, dementia, etc. A-1 Home Care’s certified nurse assistants and licensed vocational nurses will care for your loved ones as though they were their own family members. You get the advantage of developing a relationship with your elderly loved one’s caregiver and you have 24-hour support from the home care agency when you dial our office number. A-1 Home Care has been serving seniors and their families in Downey and surrounding areas for over two decades. As one of the few state-licensed agencies in California, A-1 Home Care not only provides excellent senior care but we protect you and your loved ones from potentially dangerous and shady characters who prey upon seniors’ vulnerability. Each of our caregivers is extensively screened for their criminal background clearance and all professional references are verified. 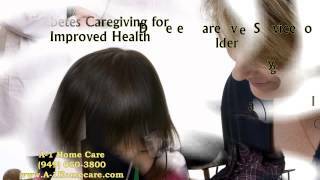 For in-home care you can trust, call A-1 Home Care (562) 929-8400 or visit us at www.downeyinhomecare.com for services in Downey, Pico Rivera, Whittier, Cerritos, Long Beach, Torrance and other parts of LA County. Is the Baker Act Appropriate for Seniors Who Act Out in Paranoia? In case you’re wondering, the Baker Act is known as “5150” in California, a section of the California Welfare and Institutions Code that authorizes involuntary detainment of an individual when he appears to be a physical danger to himself or others. The person is detained for 72 hours maximum during which time the person is evaluated for his psychiatric condition. The act of “fifty-one-fiftying” your elderly loved ones can wreak havoc on them. All too often, seniors are traumatized and harassed after the evaluation. A-1 Home Care in Downey will send out a care manager to conduct a free assessment so you can spare your loved one from harsh treatment in a mental institution. If your elderly loved one needs Alzheimer’s Care, A-1 Home Care offers 24-hour dementia care all year round. Live-in home care assistance includes cooking, cleaning, bathing, grooming, prescription pick-ups, errands, grocery shopping, patient transferring and positioning, excellent companion care, transportation to appointments in Downey and more. As one of the few state-licensed agencies in California, A-1 Home Care has been delivering exceptional in-home care services for over two decades. Licensed, bonded and insured, A-1 Home Care serves to promote wellness and protect your loved ones from scam artists, fraud and theft. Find a quality Alzheimer’s caregiver today! Call A-1 Home Care (562) 929-8400 or visit us at www.downeyinhomecare.com for services in Downey, Pico Rivera, Whittier, Cerritos, Long Beach, Torrance and other parts of LA County. On a recent visit to your mom in Downey, you discovered a few alarming signs that she needs help around the house; plus, it seems like her mental acuity is such that you seriously wonder if you should move across the states to live with her. However, you are in the middle of a successful, thriving career, and your family depends on you. The job market is super competitive in California and you can’t afford to resign and relocate unless you have an equally promising career that will pay you the salary you want. 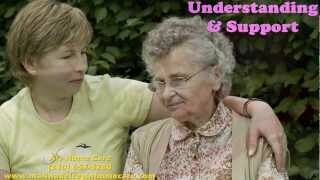 How do you find a trustworthy 24 hour caregiver who won’t take advantage of your elderly loved one? Being licensed, bonded and insured is extremely important for home care agencies, as they are not regulated by the government. In light of the overwhelming number of fraud cases that have exploded in the last ten years, it’s crucial to find an agency that will protect your elderly loved one and your assets. Insurance companies will not cover a home care agency if even one employee or caregiver has a tainted criminal background. And the farther away you live from your loved one, the more important it is to have a peace of mind, knowing that you are relying on a reputable home care agency in another state. Since its inception in 1991, A-1 Home Care has been delivering exceptional senior care and other types of in-home care services all over Downey. As one of the few state-licensed home care agencies in California, A-1 Home Care is committed to providing the highest level of in-home care possible for families in LA County. You can connect with a live operator 24 hours a day and never have to deal with an automated answering system. Our experienced care managers will help you develop an affordable elder care plan that fits your budget. Find a quality in-home caregiver today! Call A-1 Home Care (562) 929-8400 or visit us at www.downeyinhomecare.com for services in Downey, Pico Rivera, Whittier, Cerritos, Lakewood, Long Beach, Pasadena, Hollywood, and other parts of LA County. Searching for a reputable home care agency in Downey can be tedious and tiring, especially when the clock is ticking and you don’t have much time to dilly-dally around. Your elderly loved ones may be in a hospital waiting for a discharge, but the doctors won’t release until they know that someone will be home to take care of them. Maybe you can’t move them in with you right now, so you have to find a way to welcome them home with trustworthy, reliable caregivers who won’t take advantage of your vulnerable loved ones’ state of being. Do you find an independent caregiver and hire someone through a private ad, or do you find someone based on a friend’s recommendation? What kind of home care agency do you look for? 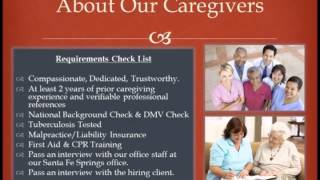 What are some key characteristics that every home care agency should have? If you find an agency that is licensed, bonded and insured, you have found a winner. 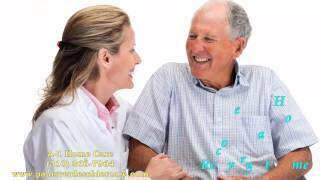 Note that home health agencies are different from home care agencies. 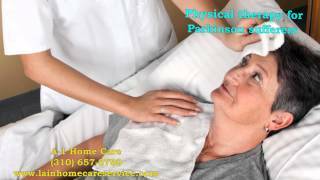 Home health agencies are regulated by the Department of Health Services whereas home care agencies are private companies that do not have any governmental overseer at this time. The home care agency scams you hear about are most likely involving those that hire questionable characters without requiring much experience or education. As one of the few home care agencies in California that have successfully received state licensure, A-1 Home Care in Downey is licensed, bonded and insured, and we set the bar for recruiting only the cream-of-the-crop 24 hour caregivers with years of experience, training and education. Being licensed, bonded and insured means that your elderly loved ones will be protected from predators, fraud, theft and other criminal activity while receiving care. 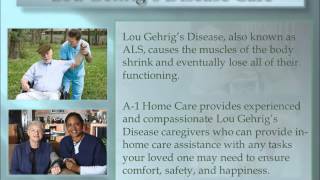 A-1 Home Care promotes senior safety and comfort while the elderly receive assistance for Arthritis Care, Multiple Sclerosis Care, Heart Disease Care, Alzheimer’s and Dementia Care, and other types of 24 hour care. Our care managers, caregivers and staff are available to you 24 hours a day. That means that when you call, you will never get an answering machine. Instead, you will hear a lively, friendly voice on the other end from a representative who’s ready to answer your questions and address your needs. All caregivers are required to pass an extensive criminal background screening. We check their DMV records and verify all professional references. For over two decades, A-1 Home Care has been faithfully delivering high quality senior care to families all over Downey, Pico Rivera, Lakewood, Cerritos, Long Beach, Pasadena, Santa Monica, Malibu, and other parts of LA County, and we will gladly do the same for you. Find a quality in-home caregiver today! 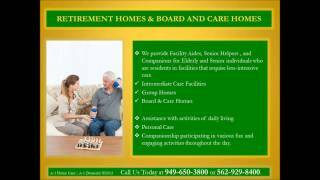 Call A-1 Home Care (562) 929-8400 or visit us at www.downeyinhomecare.com for more details. Alzheimer’s disease is a form of dementia that affects millions of seniors in the United States and all over the world. Although “Alzheimer’s” and “dementia” are terms that are used interchangeably, they are two different things. Dementia is an umbrella term for a host of symptoms involving memory loss and cognitive decline whereas Alzheimer’s is one form of dementia with its own specific set of symptoms. In advanced stages of Alzheimer’s, it becomes particularly difficult for family caregivers to take care for their elderly loved ones if they have never received formal medical training and are only relying on brochures and pamphlets as guidelines. A-1 Home Care offers professional in-home care help at the lowest rates you’ll find anywhere in Downey and LA County. Caring for elderly loved ones in the long run without assistance will take a toll on your health. Statistics show time and time again that family caregivers who carry the burden alone without assistance from other family members suffer from depression, social reclusion, extreme fatigue, frustration, irritability, significant physical health decline and even dementia, if the stress loads are heavy enough. Some family members bear the brunt of the physical labor of elder care while receiving financial assistance from siblings who live out of state. Round-the-clock professional care from A-1 Home Care relieves pressure tremendously, allowing family caregivers to rest and restore themselves from overexertion. A-1 Home Care is dedicated to delivering excellent dementia care, Alzheimer’s care and other types of in-home care services all year round. We never close, and we’re open on major holidays including Christmas, Thanksgiving and New Year’s so you never have to worry about getting access to help when you need it. When you call our hotline, you are always connected to a live operator who’s ready to answer your questions. Our care managers will work with you in developing a customized elder care plan based on your elderly loved one’s needs, your budget and availability. 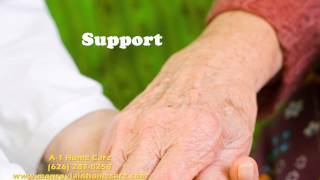 A-1 Home Care is a licensed, bonded and insured home care agency serving seniors since 1991. Find a quality in-home caregiver today! Call A-1 Home Care (562) 929-8400 or visit us at www.downeyinhomecare.com for services in Downey, Whittier, Pico Rivera, Cerritos, Long Beach and other cities in LA County. You probably have heard horror stories of young mothers drowning their children in bathtubs or throwing their infants down from a 4th story floor of a parking structure. In your mind you’re thinking, “What on earth would drive a mother to kill her own flesh and blood?! ?” In such extreme cases, these are probably manifestations of Postpartum Obsessive-Compulsive Disorder (OCD), a mental illness that affects 3-5% of new mothers who are controlled by abnormal obsessions and fears. Mothers with perinatal or postpartum OCD exhibit their behaviors by hiding or throwing out sharp objects like knives and scissors for fear of potential harm, avoiding certain foods for fear of harming the fetus, obsessively checking in on the newborn when he or she sleeps, and obsessively seeking reassurance from family members that she has not harmed the child, intentionally or unintentionally. Fortunately, there is hope for new mothers during their maternal leave. A-1 Home Care offers affordable 24-hour postpartum care in Downey and surrounding cities. A-1 Home Care in Downey offers high quality 24-hour support for new mothers as they adjust to their new lives and new bundle of joy. You or your loved one will get the rest you need while our 24-hour caregivers will help you with chores around the house, meal preparations, and other tasks. Sitting or walking may hurt for a while, so if you need assistance with bathing, our caregivers will prepare a sitz bath for you which will relieve your pain. They can also make a run to the store to pick up a lidocaine spray for your hemorrhoids. Postpartum care is all about you and your baby, ensuring that both of you are well taken care of. Don’t take it too lightly – you’ll need all the help you need, especially if your mom or mother-in-law is not around to help. Professional postpartum care also eliminates the awkwardness between you and your friends or family members. With live-in or live-out postpartum care, you preserve privacy and dignity for yourself, your spouse and newborn child. A-1 Home Care in Downey is a licensed, bonded and insured home care agency that provides all kinds of in-home support services, such as postpartum care, cancer care, post-surgery care, and elder care. We serve populations of all ages, not just seniors. With a variety of live-in and live-out in-home care services to choose from, you have plenty of options that will fit your budget, level of care and scheduling needs. Since its inception in 1991, A-1 Home Care has become the number one preferred in-home care agency of Southern California, serving communities all over LA County. Affordable postpartum care is offered through our easy financing options and long-term care insurance. To hire a caregiver today, call A-1 Home Care (562) 929-8400 or visit us at www.downeyinhomecare.com for services in Downey, Whittier, Santa Monica, El Segundo, Manhattan Beach, Redondo Beach, Pico Rivera, and other cities throughout Los Angeles County.